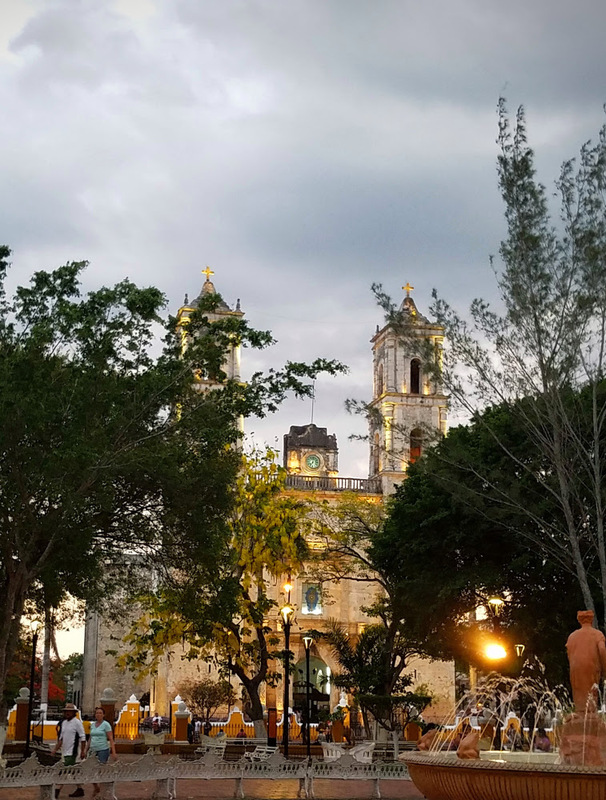 The Iglesia de San Servacio, or the Church of Saint Servatius, is located in the beautiful colonial city of Valladolid on the south edge of the Parque Francisco Canton. 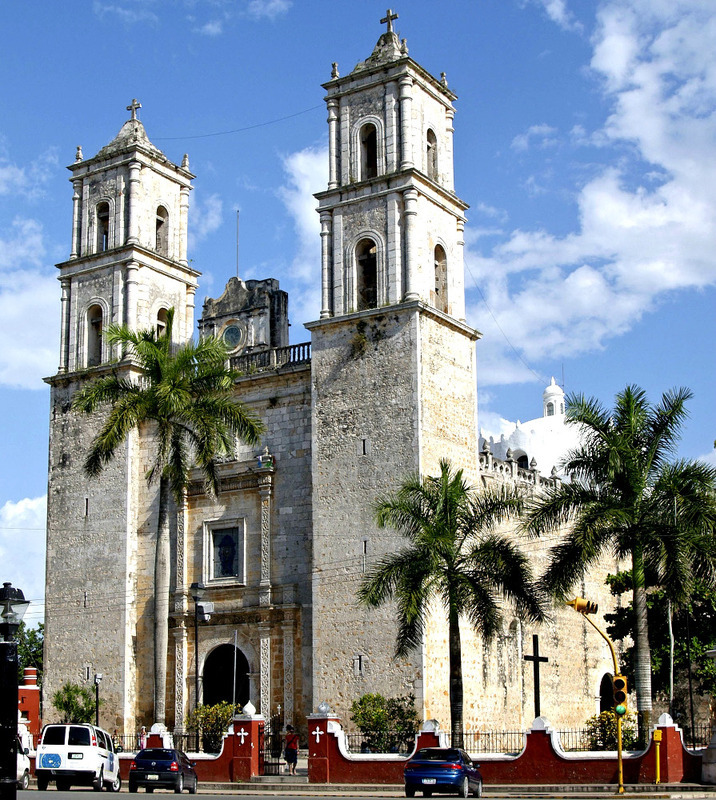 The city itself was founded by Fancisco de Montejo on May 23, 1543 after he and his forces defeated and suppressed the Zaci Mayans. The city was named in tribute to the then capital of Spain, Valladolid. 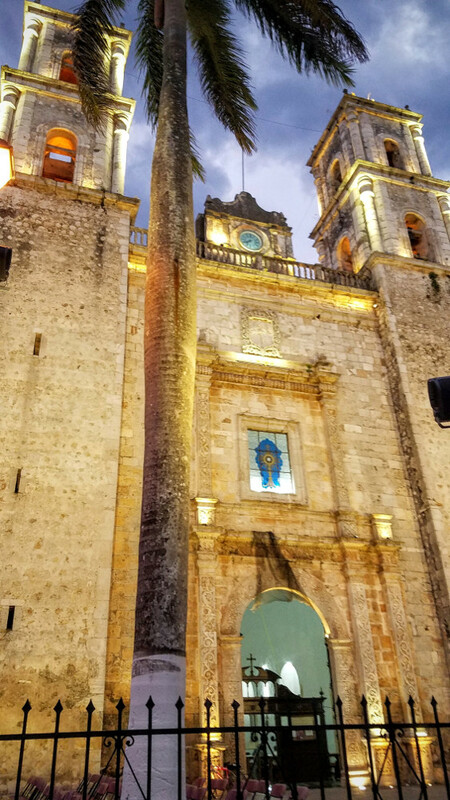 The original site of the city was moved to more favorable land in 1545 and soon after construction began on the Iglesia de San Servacio. 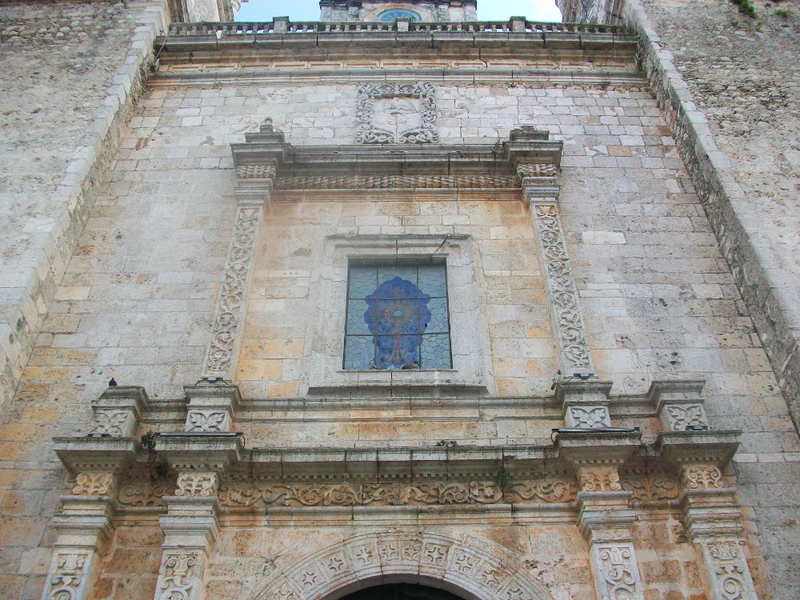 The church is a barrel vault cathedral style building with a simple masonry covering on the front side facing the plaza. Noticeably different from European churches of the same style are the vertical port holes on the front wall. These were used during the various rebellions to defend the church from the natives. The church seen today is not the original, it was replaced in 1705 after a series of violent events in 1703. In January 1703, Miguel Ruiz de Ayuso and Fernando Tovar were elected Mayor and Second Mayor of Valladolid replacing the recently deposed Mayor, Don Fernando Hipólito de Osorno. Ayuso and Tovar were political rivals of Osorno and wanted him captured to fulfill the arrest orders sent down by the Governor, Don Martin de Urzua. Osorno hid in the Iglesia de San Servacio with his friend Gabriel Covarrubias but were found on July 5th, 1703. On the orders of Ayuso and Tovar, they were not arrested but instead beaten. Osorno was dead by the time they arrived at the jail and Covarrubias was then beaten again until death. They both were then hung from the window of their cell. In response to this brutality, the Viceroy ordered for the removal of the Governor and sentenced Ayuso and Tovar to death. In 1705, Bishop Don Pedro de los Rios Reyes ordered the church to be demolished and rebuilt with a new church to help erase the stain left by this atrocity. Over the course of the next century and a half there were a series of small rebellions eventually leading to the Caste War from 1847 to 1901. Near the beginning of the war the city and church were taken over by the rebels. In 1848, Colonel J. J. Mendez retook the city and church with military force. Today, two of the canons he used during the battle are on display within the church. Adam F. Figueroa, “Iglesia de San Servacio o Gervacio,” HistoricalMX, accessed April 19, 2019, http://historicalmx.org/items/show/13.